Count on these four trends coming next year. Maison & Objet — the twice-yearly lifestyle show for decoration, design, furniture, accessories, textiles, fragrances and tableware — is one of the best trend-spotting events worldwide. At the January edition, more than 84,000 visitors, including almost 38,000 from the international community, came to see 2,910 brands present their newest items and assortments. A number of trends emerged from that newness. Here are four of the best bets for next year. 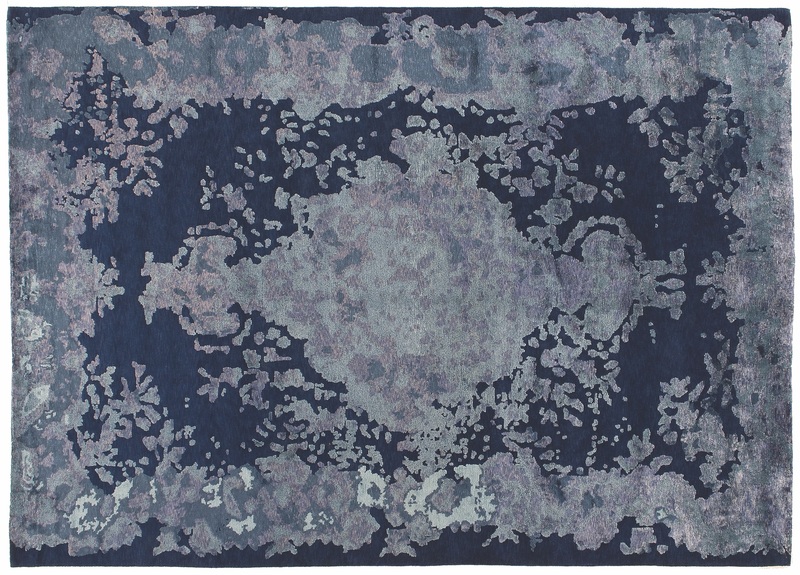 This rug from Golran shows how beautifully mid-value purples work with blues. 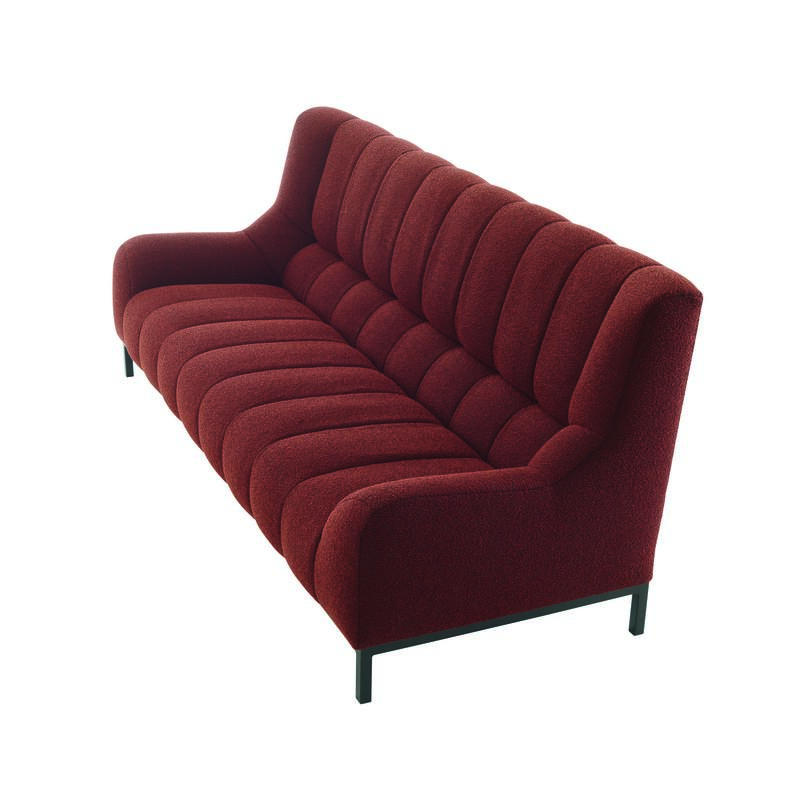 The Phileas sofa in a cinnamon-inspired orange from Ligne Roset. The freshest color story of the fair came from purple. This color family has been in the forecast for the past year, but it had not been ready to make a bold debut until January. At Maison & Objet, purples came on strong in upholstery, glassware, candles, trays and more. While mid-tone Lavender and Lilac had equal support, red-cast Lilac felt like the next logical step after Millennial Pink. That gave Lilac an edge over its cooler cousin. Saturated Grape and Deep Plum were used when a dramatic option was required. Grape looked especially good with greens, while Deep Plum got noticed most with black. A second key color story came from oranges, with a particular focus on Cinnamon. This sophisticated middle-value anchored a broader trend toward autumnal palettes. Other participants: Honey Gold, Olive, Eucalyptus, Lilac and/or browns ranging from Toast to Mink and Fox. A second orange had less visibility but much more punch. Neon Orange joined Neon Yellow, pink and green in an accent palette with incoming status. This 80s throwback palette is set to play a larger role in decor by the time 2020 begins. 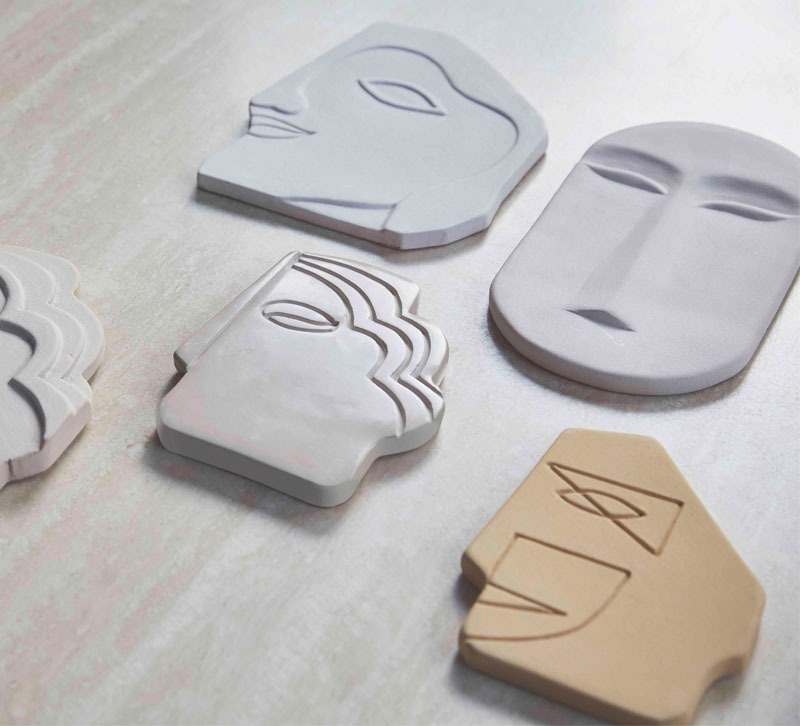 Rug’Society showed an abstract face on their new Mira rug. For the past couple of seasons, portraits have been on-trend. Images that seem, at first, to be historical, but on closer inspection reveal a modern twist have been embraced. Meisterwerke showed this look best in Paris. Their newly introduced portrait of Anna Pavlovna, Queen of the Netherlands during the 1800s, adapted her formal portrait by Jan Baptist van der Hulst by interpreting it in tapestry, brightening the color palette and adding a tattoo to the Queen’s right arm. Other companies zeroed in on faces, but in a representational way. 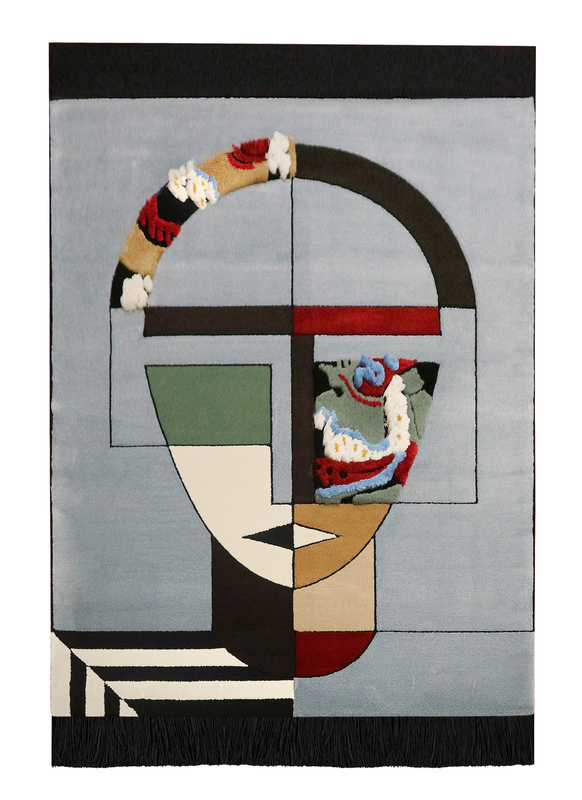 Rug’Society used a color- and pattern-blocked approach when some outlined sections of an abstract face were populated with blocks of pattern and/or color, while other areas remained empty. 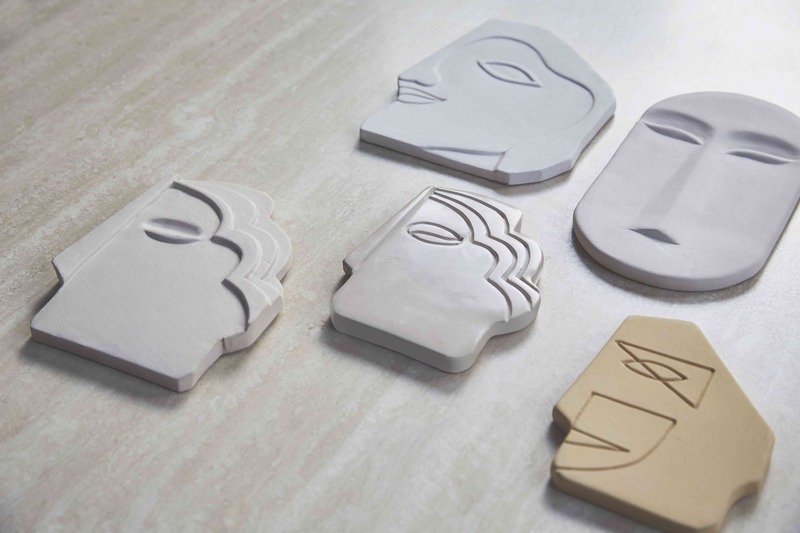 HK Living’s new decorative objects offered a series of five figural faces. A new toss-pillow cover from House Doctor presented a figural character with an embroidered face done in black on a white ground. This conceptual approach was being well received as a modern update to traditional portraiture. It has plenty of room to grow. 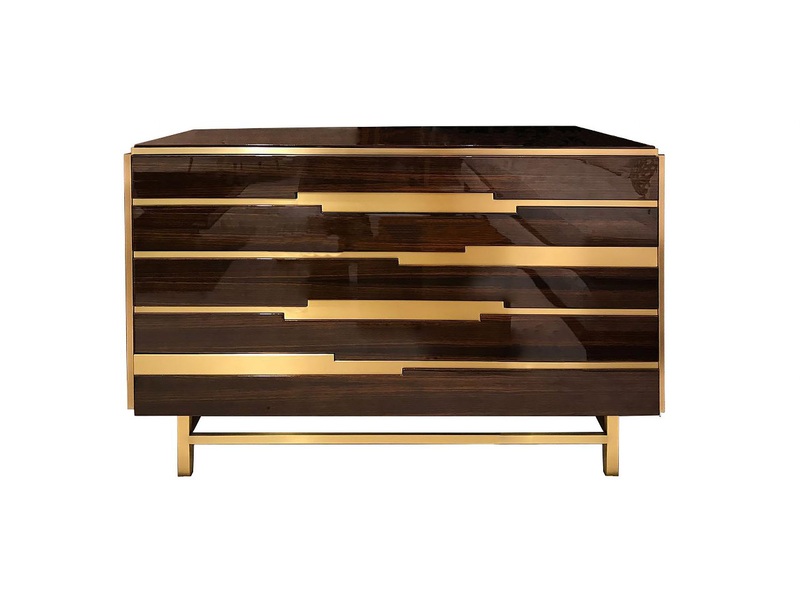 The Marvic chest of drawers in ebony with brushed brass and a high-gloss finish from José Leite de Castro. It would be easy to assume that luster is so far out of fashion that it could never return. After all, matte has signaled sophistication for long enough that it has become the norm. But at Maison & Objet, glossy finishes were back, at least when it came to select wood pieces. High-luster wood often came with an equally high price point. Baccarat’s new furniture collection, for example, included a Macassar ebony console table with crystal feet. The finish on the table was glossy enough to rival the reflection coming off the feet. The Portuguese brand José Leite de Castro also showed ebony casegoods with a high gloss finish. A number of pieces were detailed with gold metal details. While it is true that the market is certainly not rushing back in the direction of shiny surfaces, it is also true that these are not the first glossy products to appear in the past year. There has been enough movement in this direction to put glossy looks on the watch list for 2021. Charleston, from Dix Heures Dix, with tiered fringe. 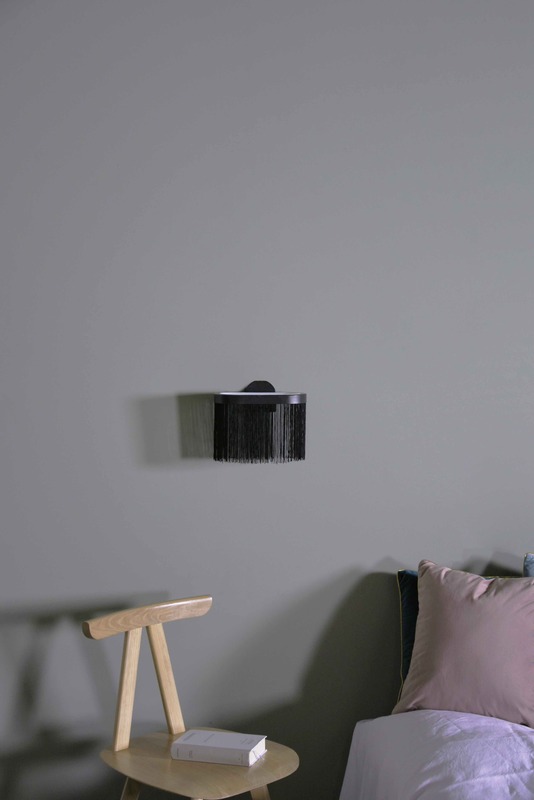 EnoStudio’s new sconce featured trend-right fringe. Fringe is returning with a new character. It is skinny, long and shiny. And often, it’s part of a whimsical character that designers are applying to new products. At Maison & Objet, fringe was attached not only to expected items, like sofas and ottomans, but also to a few unexpected ones, like mirrors and especially lamps. 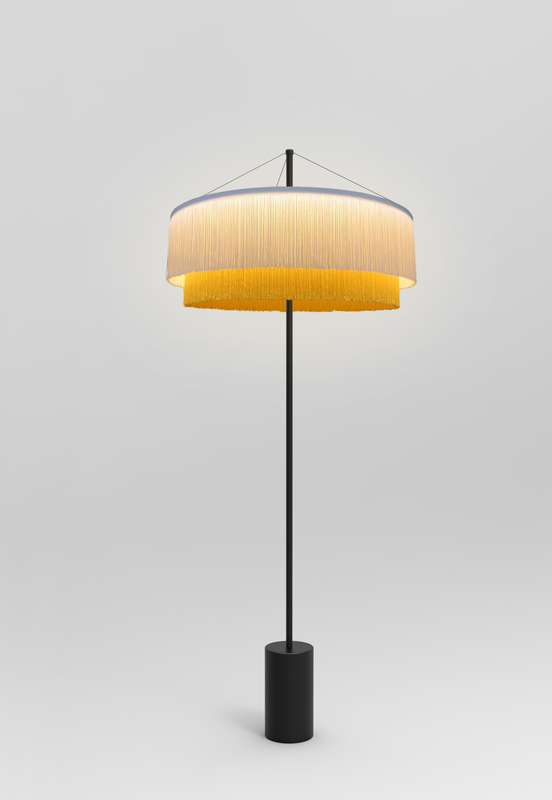 Dix Heures Dix’s Charleston floor lamp featured a shade with two tiers of neutral fringe. EnoStudio dangled black fringe below a strip of brass or black metal to create the shade around their newest indoor sconce. At Houtique, the Wink lighting series used fringe in fun colors like pink or mint green to suggest eyelashes dangling below an eye-shaped metal outline with a frosted-glass “iris” globe inside.